Recently we had the pleasure of meeting up with Metal Toad’s Director of Client Services, Hayli Hay to chat about RFP response. Since using RFPIO, Hayli’s team has enjoyed many benefits that have streamlined their approach to RFPs and greatly improved productivity. In this podcast interview, Hayli shares how her company is using RFP software to respond with greater efficiency and effectiveness. She also offers some great tips to help our fellow RFP responders be better at what they do! Hayli, the RFPIO team knows Metal Toad well, since you are wonderful clients of ours. Can you tell the audience a bit about Metal Toad? Metal Toad is a digital agency located in Portland, Oregon. 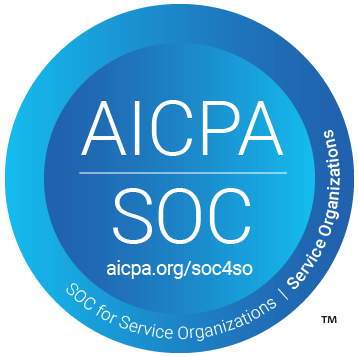 We engineer enterprise class web, mobile, and cloud solutions throughout the full project lifecycle of software development. Metal Toad has been using RFPIO for a few months now. How is RFP software helping out your company? Prior to coming to Metal Toad, I spent seven years responding to government and utility RFPs. We had a manual process in place and eventually it got the job done. But once I joined Metal Toad, I really saw how different software procurement was. Metal Toad didn’t have a manual process in place. Every time an RFP came through, it was done differently—there wasn’t a dedicated team of people or a proposal manager. 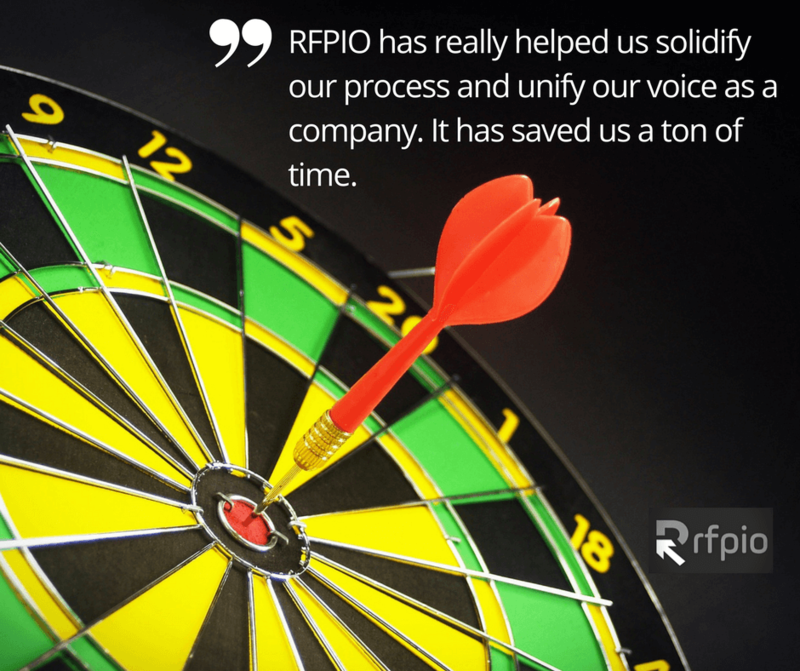 We’re a small company of about 50 people, so RFPIO has really helped us solidify our process and unify our voice as a company. Most importantly, it has saved us a ton of time. Metal Toad was responding to a lot of SOWs and security questionnaires manually. Can you share what challenges you experienced before using RFP automation? All of our scopes of work and contracts were done using Google docs. We would end up with a lot of different versions in our drive. Sometimes it was hard to track down the original document that matched the signature. We have a stage gating process internally, where various members of our leadership team need to review an SOW before it gets sent out. That was done through a paper process. At the end, nobody really knew what to do with the paper because we are largely a paperless company. Running our SOWs through RFPIO—and establishing that what is in there is a source of truth—has helped us keep our documents better organized. The reviewer feature is being used for contracting stage gates, which gives us a digital record. We have done away with the whole paper stage gating process. The team can quickly review their assigned sections and they don’t have to scroll to get where they need, like they would do in a Google or Word doc. Again, the time-savings has just been awesome. Do you have any tips for busy teams out there who are facing similar challenges? As we were evaluating the product, I met with Ganesh, the CEO of RFPIO, and I congratulated him for solving the RFP response and library maintenance problem. He laughed about it, but it’s 100% true. I was looking for somebody to solve this problem for a long time and he did it. After the initial setup of the library and the templates, we started saving a ton of time just having those responses available. It’s important to set the RFP response schedule and create a culture where that schedule is sacred. There’s nothing worse than being blocked on moving forward by an SME who hasn’t finished writing their content. For Metal Toad, that’s something that needed to be established because there wasn’t any process in place. RFPIO has helped Metal Toad culturally establish: what needs to be done, by who, and when an RFP comes out that we decide to bid on. In your opinion, what kind of trends are you seeing with approaches to questionnaires and SOWs? We have a lot of clients in the entertainment industry. I’m seeing more rigor being put into place on the master services agreement, security, and procurement side. Getting contract signatures out is taking longer, which is interesting since it used to be a little more wild west. People are starting to get that they need to lock it down a bit more. On the RFP side, our clients don’t really know how to write RFPs that are easy for a vendor to respond to—or that truly get to the heart of what they want to procure. A lot of our contacts are forced to go through an RFP process by their corporate overlords or parent organizations, but the person making the procurement is inexperienced in the RFP process. I can’t say that it’s a positive trend, but there isn’t much training offered in the world of writing and responding to RFPs. It seems to be a skill that gets passed around a company through oral tradition and training your peers. There is a lot that can be done to teach people the skill-set, especially with writing RFPs that vendors can respond to. What are your top 3 RFPIO features and how do they benefit your team? Our #1 feature is the reviewer feature. It’s our digital record for stage gating an SOW before it gets sent to a client. It’s important for us to know that various people in a company have bought into what we’re saying we’re going to do for a client. Our second favorite feature is the answer library. I cannot even tell you how many hours I’ve spent in my entire life digging through documents for that one brilliant paragraph that somebody wrote (who knows how long ago) that simply explained a really technical topic. Like, literally hours—days, weeks, probably. Within the answer library, I pretty much never have to do that again because I can search by keyword and all of the potential matches pop up. And, that’s great. The third one is the feedback feature, where RFPIO clients can give direct feedback. I’ve never once in my career suggested a software improvement to a tool I was using and have the company actually implement the solution within a two-week period. Internally we were blown away by that level of service. I love how RFPIO is taking suggestions from users seriously, implementing them, then sending me a personal email telling me to go check it out. Major props to your guys’ software development iterations—and your customer service is super cool. For other people who are making the switch from a manual process to RFP software, what insights do you have for them? Like any new tool implementation, you need to plan for it. You need to get organized prior to pulling the trigger. What responses do you want to load into your answer library? Where are your top ten answers located? What kind of templates do you need to create? You really need to do prep work and housekeeping before you start building your instance of RFPIO. Companies should consider this an internal project with a clear owner and clear leader. Once you have it set up, you need to teach people in your organization. We trained our project managers, product owners, and some of our software architects and developers about: what RFPIO is, why we are using it, how they are going to get pinged, and what we need from them. We used to use comments on Google docs and they never knew when we needed their input—or I couldn’t track what they were doing. They would have to scroll around to find what they needed and provide context. Now that they’ve done it a few times, everybody loves it. Have a clear owner and make sure you teach people about it. Hayli Hay is a driven executive with a high emphasis for getting things done. Her experience pitching big ideas, building consensus across diverse cross-functional teams and driving those initiatives across the finish line has been the keystone to her success as a leader in tech. 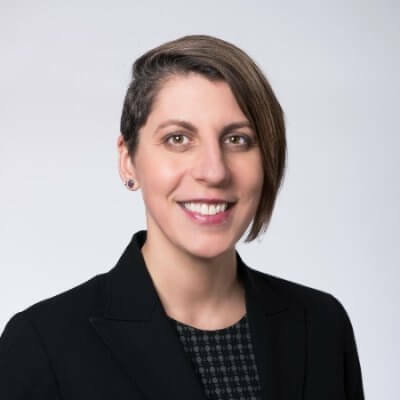 She has 15 years of program and project management experience supporting multiple clients—from large international to small local teams across a wide range of industries. Hayli thrives on developing departments, helping teams come together, decisions being made, and goals getting achieved. Each day she focuses on what is best for the clients, what is best for the team, and what is best for the company.